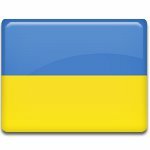 Day of the Defender of Ukraine, also known as Defenders' Day, is a public holiday celebrated by Ukrainians on October 14. It was officially established by President Petro Poroshenko in 2014. After the dissolution of the Soviet Union, Ukrainians preserved the tradition of celebrating Defender of the Fatherland Day on February 23. Although it was not a public holiday, it was very popular. However, in 2014 the newly elected President Petro Poroshenko decided that Ukraine needed its own holiday dedicated to the country's defenders, which would be not related to the Soviet Union. The date of October 14 was chosen because it coincides with one of the most significant feasts celebrated by the Orthodox Church, the Intercession of the Theotokos. It celebrates the protection given to the faithful by the Mother of God and is associated with defense of the Motherland. Day of the Defender of Ukraine was established to honor the courage and heroism of those who protect the sovereignty and territorial integrity of Ukraine. It is quite symbolic that the inauguration of the holiday coincided with the Crimean crisis and the War in Donbass. As Defenders' Day is a public holiday, all employees are entitled to a paid day off.